A burger is nothing without a patty, isn’t it? And a tender patty topped with sauces, mayo, veggies and cheese in soft buns from Timmy’s is a promise for a unique taste. Whether you like to eat it alone or with friends, Timmy’s restaurant has something for everyone! What makes this extraordinary is that now the menu and delivery is available not only on Cheetay’s website but also on the android app. This means that you can just now get Timmy’s burgers, shakes, sidelines, appetizers, mojitos, iced tea, coffees and hot drinks anywhere and at any time. 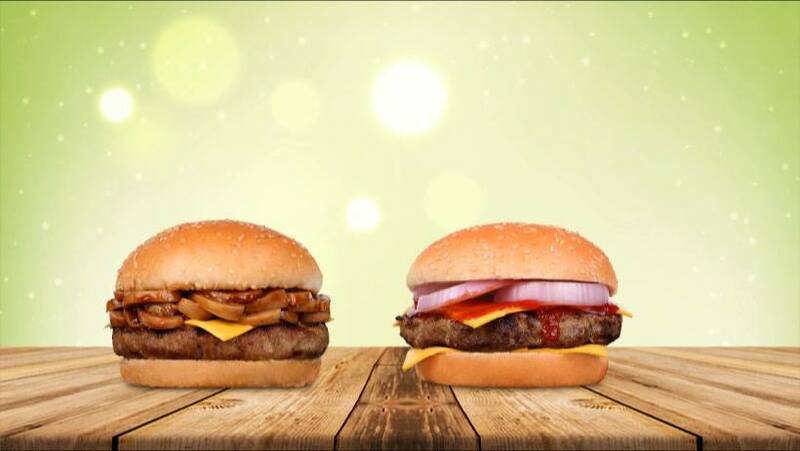 At Timmy’s Lahore, there is a whole assortment of burgers to satisfy your appetite. Start with the - Proud to be single’ category. This has four types of Cluckers with crispy fried chicken fillet in them. These consist of simple crispy chicken fillets or crunchy fillets with BBQ sauce, Chipotle sauce, and/or Cheese & Jalapenos in the soft buns. In the range of grilled burgers, you can get Tizzlers, Thrill on the Grill, The Cheese Burger, Beef Mushroom and Belly Busters. The first two come with grilled chicken patties while the rest have juicy and tender grilled beef patties. Their delicious sauces and fresh vegetables combine to make mouth-watering burgers. If you are a fan of fish then get Fish Burger that has Timmy’s special tartar sauce in it. To enhance your burger experience, double the patty to bun ratio at Timmy’s restaurant and opt for a series of Mighty Cluckers in the Go Double Burgers category. These consist of double crispy chicken fillets, Double Chicken Mushroom, Heavy Loader, The Tizzler Tower, Double Cheese, Double Beef Mushroom and Belt Stretchers. Of course, they come with excellent tangy, sweet, spicy and sour sauces along with chewy vegetables that perfectly blend in with the patties. A range of premium burgers with grilled beef, lamb and chicken fillet are also available at Timmy’s so satiate your hunger pangs by ordering your type of burger range from Cheetay. Have you had Timmy’s pizza? If you have not, then try any from the 14 toppings that they have. These include Say Cheese, Sweety Bites, vegetarian delight, Oh My Veggies, Tantalizing Tikka, Hawaiian Moment, Fajita Fest, Pepperoni Passion, Fajita Sicilian, Beeflicious, Hot N Spicy, Chicken Supreme, Meet Mr. Meet and Super Supreme. These toppings add a zing to life as they have been tinged with flavours from the local, Vegan, Egyptian, American and Italian cuisines. Choose nuggets, wings, tenders and pizza rolls or Garlic bread, Fries, Garlic cheese bread, Pizza Rolls, Potato Wedges, Grilled Wings, Tenders and Curly Fries for sides or appetizers. After your main course, do not forget to order Timmy’s desserts! These come in the terms of shakes. There are 24 different flavours in them. These are Dark Chocolate, White Chocolate, Caramel, Vanilla, Strawberry, Berry Berry Good Shake, Berryana, Chocana, Nutty Nation, Kit Kat Kick, Mystery Mars, Bounty Bounce, Smarties Time, Cadbury Time Out, Twix Fix, Toblerone Triangle, The Original Oreo, Galaxy Slip, Cadbury Fruits and Nuts, Maltesers, M&M’s Chocolate, M&M’s Peanuts, After Eight (Mint) and Timmy’s Million Dollar. They have Iced Teas, coffees and mojitos too so, choose freely at Cheetay and enjoy to the fullest!